Robometricschool. 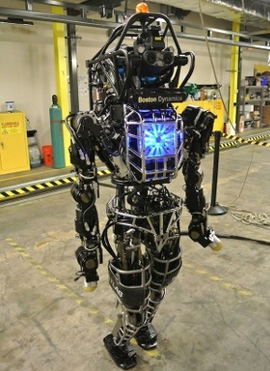 - As we know that Google has acquired the high robotic technology company that called Boston Dynamics. We also know that Boston Dynamics has been producing many high technology robot that very famous this day. One robot that very famous from Boston Dynamics that has acquired by Google is Atlas Robot. Because of its sophistication, sometimes made ​​by Boston Dynamics robot looks creepy like Atlas Robot too. Atlas is a humanoid robot-like existence similar to humans. The robot introduced in July 2013 was developed Boston Dynamics for the U.S. Defense Department. Atlas provided with sophisticated sensors. Until he is able to walk or climb with hands and feet. In October 2013, Atlas robot ability made be better by Boston Dynamics. To still be able to stand upright even have to fire a bullet of Light.